Interviewer: It’s about one month until your match at the Tokyo Dome, how are you feeling? 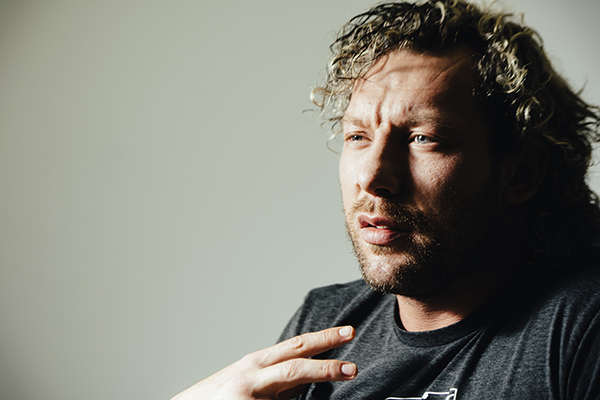 Kenny Omega: I feel good. It’s strange to go into a match that’s such a high-profile contest, feeling so much more overpowered than my enemy. I feel like I’m going to wear my little cap, I’m going to have my kazoo and it’s going to be a new year’s party; slapping around a flabby old man. If I’m in the mood, maybe I’ll bend him over my knee and spank his… yeah. IN: This year you are entering Tokyo Dome main event as the IWGP Champion, are you excited? Omega: It was. Last year we were in the double main event. It was cool to have the match of the night against the best wrestler of all time, but to win… The only thing I can say that I wish I had, was having my music play at the end. That would have been such a good feeling, to send everyone home with the match of the night and, what some people would say, was the best match they’ve ever seen. To say: “Goodbye and goodnight”, boom, streamers – it would have been great. 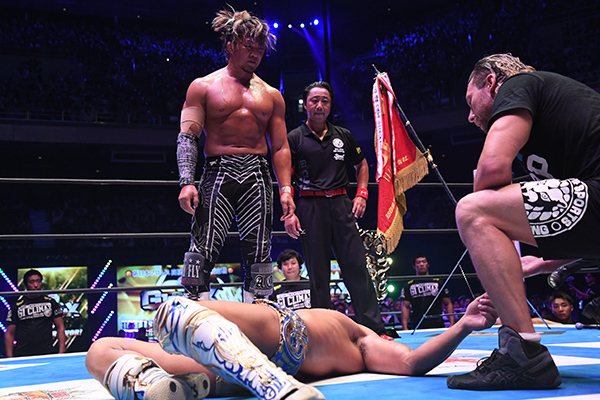 IN: During Nakamura’s last match on the 30th January 2016, there were a few points where you, Nakamura and Tanahashi faced off against each other. Do you remember that? Omega: Of course. I remember everything clearly. I remember standing up on the apron and everyone being silent. People were thinking “Oh, what’s this guy doing here? He’s not a heavyweight! He’s not as good as Tana, he’s not as good as our precious Nakamura.” You know crazy, how there’s this f***ing image where all these who stabbed you in the back, stabbed New Japan in the back; Prince Devitt, Nakamura, AJ Styles, Gallows, Anderson. You guys still praise these motherf***ers as heroes. They stabbed you in the f***ing back! Who raised this company up from the ashes? Who was the one who saved all of you peasants? It was f***ing me! That’s why I stood up on the apron and that’s why I voted for myself. I was the only one with the courage, I was the only one to f***king do it! IN: That match was very memorable! 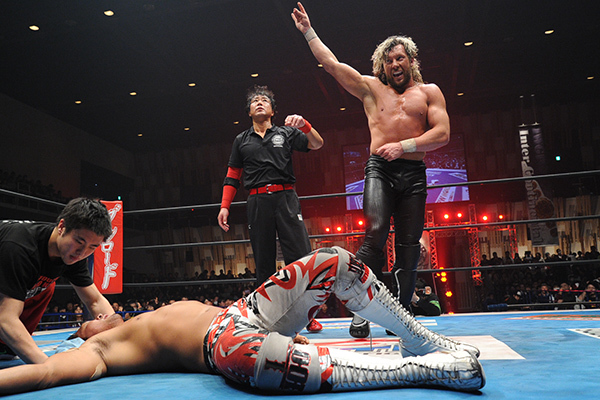 After that match, you won the IWGP Intercontinental championship against Tanahashi in Nagaoka on February 14th. 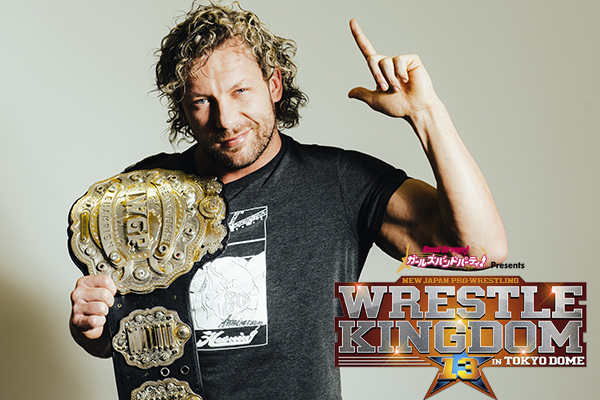 I think that was the day Kenny Omega was reborn as a Heavyweight. Omega: It was really intense. I’ve sort of dabbled with it. I dipped my toes in the water and I was able to do that in 6-man tags and tag matches. 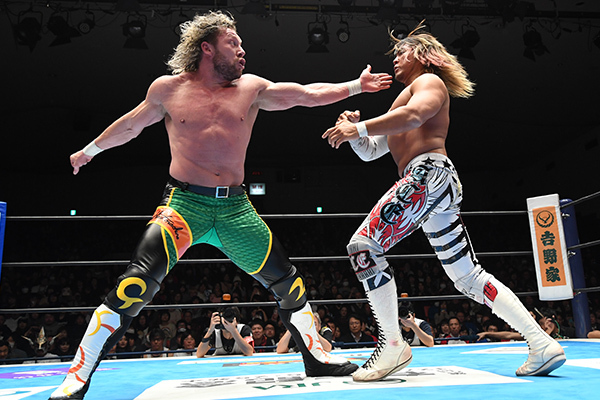 This was my first true test, one-on-one, and I thought, “wow!” There’s this image of heavyweights where they’re going to be so much bigger and stronger, but my God, I wasn’t just faster than Tanahashi, I wasn’t just a better athlete than Tanahashi, but I was bigger than him. I was stronger than him. Maybe two or three times stronger than him. It wasn’t even close! There was one thing that Tana had though, he had timing. Oh, and the people… [sneering] the people calling his name. I don’t know what you call that? F***ing ‘spirit’ or something? A loser is a loser. I don’t care if you have spirit or not. 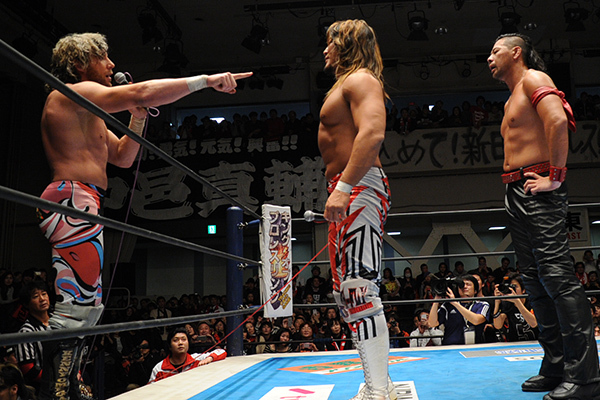 IN: That match was your and Tanahashi’s turning point. After that match, it seems as if Kenny rose up and Tanahashi went down. It was a fateful match! Omega: It was such a good feeling, that was the start of it all. I finally had the stage to show everyone just how good I was. There’s this image, right? Where Tanahashi’s the Ace. Where he’s the savior of this company. In one match, I showed everyone – I am better than this guy. I’m better than your savior. From there, I went to the G1 and I proved I was better than every other heavyweight. IN: When you spoke Japanese after your match in Nagaoka, Tanahashi was very critical. He said that it wasn’t how a heel should act. Omega: I’m going to criticize how much of a big piece of s**t he is. IN: Do you think he still feels the same way? Omega: Whether I’m the good guy or the bad guy; I was piloting the ship, I was the captain. I have to speak to my people. IN: At WK13, it will be your second singles match against Tanahashi. What do you really think about Tanahashi? 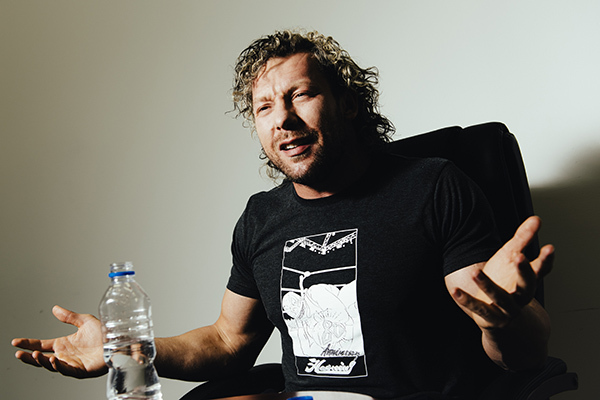 Omega: I feel like I have given my heart, my soul, all of my passion to this company, but everyone keeps telling me about how Tanahashi’s given up so much. He’s in such terrible shape, so everyone’s supposed to feel sorry for him. The truth is, I am wrestling with actual, real injuries, but I’m still building my body. Do you see my performances? We’re talking 35-minute, 45-minute, 60-minute matches and we’re talking blistering pace – world class athlete. I’m not doing this snooze-fest bulls**t and calling it “Old-school style.” Calling it “New Japan Strong Style” what an excuse, oh my God! The new Tanahashi? It’s the same old Tanahashi. The only difference that I see, it’s that he’s trying to be trickier. Everyone is evolving. I’ve become an inspiration to everyone, and people are trying to follow my lead. Tana just can’t accept that. He wants to be the leader. He wants to do it in his own way. The truth it, it’s not his own way. He’s fighting like a f**king coward. He’s wrestling with tricks, stealing other people’s moves, so many roll-ups…I’ve even seen him cheat and use low-blows! You’re criticizing me for not being a heel?! What are your f***ing rules Tana?! You can do whatever you want because you’re the Ace? What a b**ch! IN: At the press conference Tanahashi said that your style of wrestling was un-refined, cruel and other barbed remarks. Omega: Here’s the thing, I have this style that can’t be duplicated. It eats Tana up alive, he hates it. Tana speaks to his cult and says, “my style is the true style, it’s the right way!” “Do you remember 15 years ago when I saved the company? That was me! That was me! I’m going to do it again! You still believe me, right? Right? Still?” “Back then, you guys were 35-years old, now your 50, but you still believe right? Please believe in me one more time!” Guess what, these dumb motherf***ers they believe him! Do you remember the story of Noah’s ark? Where he took all of the animals? I’m taking everyone to the next level. Two by f**king two! There’s no room on the ark for Tana or his f**king fans! See you! Bye-bye! IN: Tanahashi was under-performing in the first half of this year, but I think he really captured the hearts of the fans during his two matches in the Budokan (versus Okada & Ibushi). What did you think of Tanahashi’s G1 performance? Omega: Sure, you can think that. It’s crazy, because I’ve seen Tana-Okada matches before and I’ve seen them in a full house. I’ve seen it where it was actually a good match. That time, it was at half capacity and it seemed like that match was in slow f***ing motion. Am I supposed to think that was “Sugoi?” More like “So what!” I can wrestle in slow motion too! You know what I did instead? I wrestled in front of a 140% sold out crowd and I brought the athletic style, the style that Tana hates, but guess what 140% of the crowd liked it. You’ve really got to be careful about what you say Tanahashi, because I’m the New Japan champion and I’ve sacrificed for this company. Don’t call me some other thing because that will come around and it will hurt you most of all. So be careful! IN: During the final bout of the G1 Climax this year, you were in Ibushi’s corner and Shibata was in Tanahashi’s corner. Whether it was the atmosphere, in putting on an attractive match, or, once the match started, Tanahashi’s ability to endure Ibushi’s ferocious palm strikes it seems that a good part of what you called ‘Tanahashi’s cult’ were enraptured. What did you think about that match? IN: Tanahashi said that after the match it looked like you wanted to murder him. Did you truly feel such a strong hatred for Tanahashi after he won? I want them to make preparations for their hero to fall. I’m going to use Tana’s words because he would probably use it this way: I’m going to destroy your babyface and I’m going to do it like the heel that Tana wants me to be. It doesn’t mean that I’m going to enjoy it, but I realize it’s something that I have to do.